Karen J. Alter is an expert in international relations and international law. She is the author or editor of six books and over fifty articles and book chapters. Her interests span international relations, multilateralism, the law and politics of international courts, international regime complexity, global ethics and global capitalism and law. 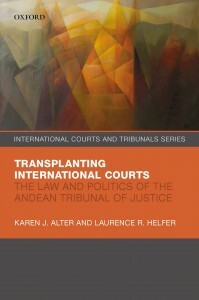 Her award winning book The New Terrain of International Law: Courts, Politics, Rights (Princeton University Press, 2014) provides a framework for comparing and understanding the influence of the twenty-four international courts, and for conceptualizing how different domains of domestic and international politics are transformed through the creation of international courts. Alter also co-edited the Oxford Handbook on International Adjudication (Oxford University Press, 2014). Alter has published extensively on judicial politics in the European Union, including two books: The European Court’s Political Power (Oxford University Press, 2009) and Establishing the Supremacy of European Law (Oxford University press, 2001). 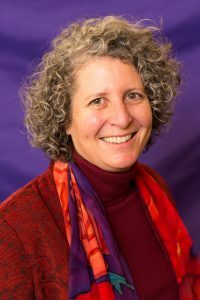 She is a long-time collaborator with Laurence R. Helfer researching the law and politics of international legal transplants in the Andes and Africa. 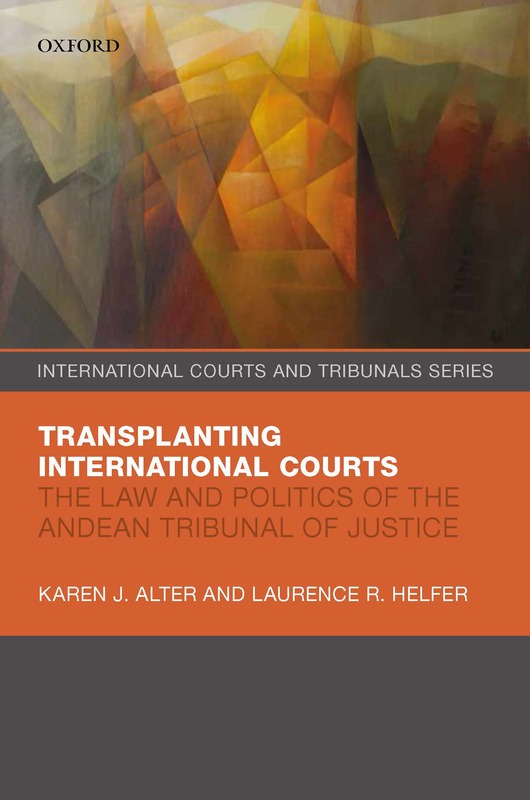 Their book Transplanting International Courts: The Law and Politics of the Andean Tribunal of Justice empirically evaluates thirty years of the Andean Tribunal’s litigation, explaining its successes and failures. 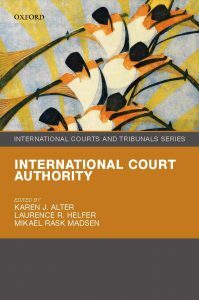 Recently published International Court Authority (Oxford University Press, 2018), co-edited with Laurence Helfer and Mikael Rask Madsen, includes a new approach to studying international court authority, applied by nineteen interdisciplinary scholars to thirteen different international courts. Alter continues her research on international courts at the iCourts Center of Excellence, Copenhagen University Faculty of Law. She is also co-director of the Buffett Institute’s Global Capitalism and Law Research Group. Alter’s research has been supported by the John Simon Guggenheim Foundation, the American Academy of Berlin, the Howard Foundation, the German Marshall Fund, the DAAD, and the Bourse Chateaubriand Scientifique. Alter is member of the New York Council on Foreign Relations, serves on the editorial board of American Journal of International Law, International Stud ies Review, Journal of International Dispute Settlement, and (previously) International Organization, Law and Social Inquiry and European Union Politics. Alter teaches courses on International Law and International Relations, International Organizations, International Relations Theory, International Courts and Tribunals, and Ethics in International Affairs at both the graduate and undergraduate levels. She also participates in research training through the iCourts Center of Excellence, at the University of Copenhagen Faculty of Law.